For some of our bigger days, we already put together some great packages that are ideal for groups of all sizes and budgets. But we are also more than happy to look at putting together packages specifically designed for your needs at ANY of our racedates year-round. If it's small and fun that you’re after there’s something to suit everyone at one of the TRAC Racing Clubs with table options for two or for you and a couple of friends right through to the hugely popular Mini Marquees which are suitable for up to 10 people. 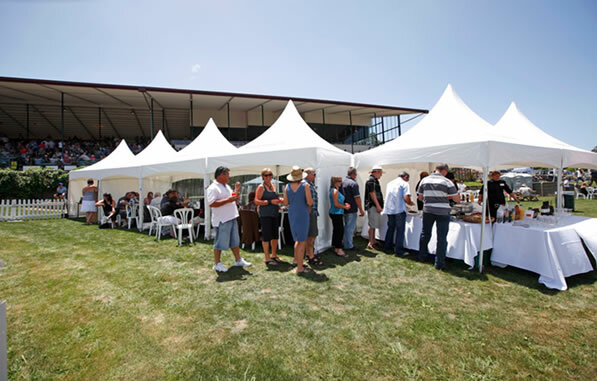 Don’t forget though... nobody does corporate hospitality or big functions like a racing club. It’s a great day-time atmosphere which can be as dressy or as casual as you like. Speak to one of our staff about a package that covers everything from entry oncourse to food & beverages and even your very own MC for the day if required. Easy, fun and hugely popular and surprisingly good value, everyone loves a great day at the races! Check out our packages on the right, or contact our club offices to make enquiries about a custom design package.